Welcome to the world of dance, one of the simplest forms of artistic expression and non-verbal communication, since it makes use of one's body as the medium. Dance is one of the best manifestations of a human being as a member of a society and is the most important vehicle to express one's culture. Everyone can dance or has the potential to perform and it takes a simple motivation for someone to get into it. 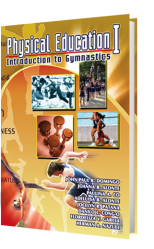 This Beginner's Dance Book could be a significant tool to motivate one to take up dancing as a hobby or as a vocation to become a dance educator. One has to simply learn the basics of dancing and these volumes of notes are designed for that purpose. As the title of this book denotes, this is what beginners should emphasize to have a firsthand knowledge about dance. Dance is a very vast word with abundance of meanings from its history, terms, elements, objectives, forms and positions. As the beginner starts reading the book, he will find in its earnest the information about the wide world of dance. Activities; Unit The Dance Education Program; Unit III: Dance Fundamentals and Patterns; Unit IV: Folk Dance Genre; Unit V: Recreational Dance; Unit VI: Social Dance; and Unit VII: Contemporary Dance. The book also contains simple descriptions of music and tempo terms, system and manner of counting that could be useful in creating dance step combinations. Also featured in this book are authentic choreography of Philippine and Foreign Folk dances, Social and Contemporary dances with their respective historical backgrounds. Chapter tests and practical tests are provided at the end of each chapter. 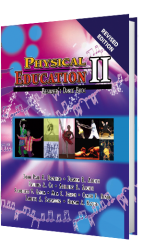 This book will also help physical education teachers with no background in dance. However, teachers are advised to conduct other activities that will address the varying needs of their students and to evaluate students aptitude and performance using varied forms of instruments for reliability, accuracy, and validity. The authors are indebted to the authors of the various sources cited in this book. We also wish to express our gratitude to Mr. Jerome M. Katipunan of the Mutya Publishing House, Inc. for his trust and confidence in us, and more specially, for the opportunity to contribute, in this humble way that we can, in the effort to better facilitate the teaching-learning process in the tertiary level. 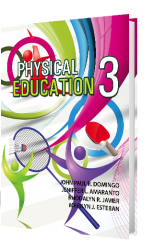 Likewise, gratitude is due to all teachers and students, who will find this book useful in their physical education classes. It is our desire to encourage anyone with the interest, skill and dedication of getting into dance education through knowledge of the various styles of dancing, dances of the Philippines and other parts of the world. This is our humble contribution in making the student become aware of his potentials, what he can do, and what he can be; and to broaden his horizons by knowing one's culture and of other nations through more Filipino and Foreign Dances. We hope that this book will serve its purpose to all those who love to dance.